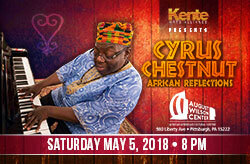 Composer, pianist and educator, Cyrus Chestnut is a musical force that utilizes his classical, gospel and jazz influences to entertain and capture his audiences. In 2014, Cyrus made his first trip to Africa which inspired him to create a new collection of jazz material--filtered through African rhythms. With more than a dozen studio albums to his credit, he continues to integrate familiar jazz rhythms with other musical genres. Pianist and composer Jason Moran has established himself as a risk-taker and trendsetter for new directions in jazz. The Los Angeles Times hails Moran, “a startlingly gifted pianist with a relentless thirst for experimentation.” It’s that incomparable talent and unyielding drive towards innovation that earned Moran a prestigious MacArthur “Genius Grant” Fellowship and the title of Kennedy Center Artistic Director for Jazz. Jazz Drummer Louis Hayes was all of 18, a recent transplant to New York City from his native Detroit, when he joined the Horace Silver Quintet -- first appearing on the 1957 album 6 Pieces of Silver, which yielded the hit single, "Señor Blues." Over the next 60 years, Louis Hayes amassed a staggeringly great body of work. As one of the chief architects of modern jazz drumming, he has provided the rhythmic drive for historic recordings that not only include Silver and Adderley, but other jazz titans of jazz like Oscar Peterson, Joe Henderson, Freddie Hubbard, John Coltrane, Dexter Gordon, and McCoy Tyner. Terell Stafford is an acclaimed trumpet player who has been hailed by piano legend McCoy Tyner as “one of the great players of our time”. Stafford can be heard performing on over 130 albums. He combines a deep love of melody with his own brand of spirited and adventurous lyricism. Saxophonist Tim Warfield, his longtime musical collaborator, joined him in this Pittsburgh engagement. Considered the Best Guitarist in the Business by the NYT, Mark Whitfield has collaborated with such notables as Art Blakey, Dizzy Gillespie, Gladys Knight and Wynton Marsalis. He credits George Benson as being his greatest teacher and mentor. 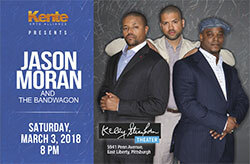 In this Pittsburgh engagement, he performed with The Whitfield Family Band which includes his two sons: Grammy nominated drummer, Mark Whitfield, Jr. and pianist Davis Whitfield. Mark Strickland began playing guitar in Pittsburgh in 1963 mentored by both R&B and Jazz greats such as Luther Dejarunett, Pete Henderson and J. Spencer Bey. He is also an accomplished sound engineer having worked on projects for Dizzy Gillespie, Dakota Staton, Tommy Flanagan and Jimmy Smith. Currently, Mark maintains a full-time performance schedule as a Jazz guitarist and music educator. 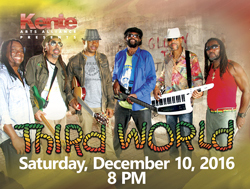 Celebrating 43 years, THIRD WORLD is one of the longest-lived reggae bands of all time, and one of Jamaica’s most consistently popular crossover artists. With 10 Grammy nominations and a catalogue of charted smash hits, like "Now That We Found Love" and "Try Jah Love", THIRD W0RLD is an institution whose themes are positive, progressive, and internationally relevant. Eclectic, outrageous, sometimes mystifying but always imbued with a powerful jazz consciousness, the music of Sun Ra has withstood its skeptics and detractors for over three generations. One could easily argue that Duke Ellington and swing-era pioneer Fletcher Henderson, had been Sun Ra’s major influences. 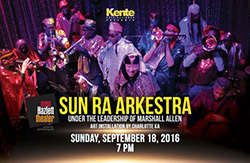 His Arkestra still maintains a full concert schedule under the direction of 60-year veteran of the Arkestra, Marshall Allen. And well he should, since Marshall Allen has been both a part of and ahead of the jazz tradition during that time. Lizz Wright has been charming music fans worldwide ever since she appeared on the late pianist and composer Joe Sample’s 2002 disc, The Pecan Tree (Verve). The following year, she gained even wider recognition for her critically acclaimed debut record, Salt (Verve). 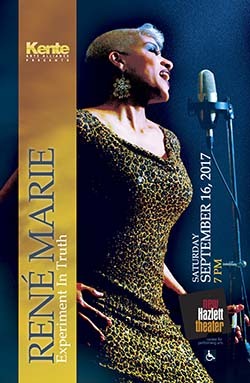 Produced by the legendary Tommy LiPuma – best known for his award-winning work with George Benson, Diana Krall, and Natalie Cole – the album helped introduce one of the most captivating female vocalists of her generation as it raced to number two on Billboard’s “Top Contemporary Jazz” chart. “The list of Pittsburgh jazz royalty is long—Hines, Strayhorn, Roy Eldridge, Kenny Clarke, Art Blakey, Ahmad Jamal, on and on—and Watts stands humbly, respectably in that lineage”. 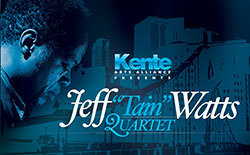 Hailing from the rich musical city of Pittsburgh, drummer Jeff “Tain” Watts has established himself as one of the most celebrated practitioners of the modern jazz era. He is known for his expertise as a heavy and intense swing player, reflective of older jazz drummers like Elvin Jones. He was an integral part of both Wynton and Branford Marsalis early bands and has also worked with Kenny Garrett, McCoy Tyner, and Michael Brecker in addition to leading his own groups, which have explored hip-hop, funk, and reggae. 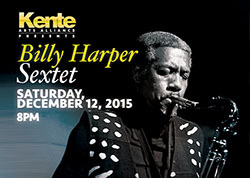 Billy Harper has been a major voice on the saxophone for decades. It's a career where Harper, a born musician who started singing while in diapers, has shown remarkable persistence. A self-taught saxophonist in the beginning, he honed his chops so well that he eventually entered the prestigious music program at North Texas State University. But it was during a time of segregation and there were tough things to deal with. He has gone on to lead his own groups in a number of formations. Geri Allen - Pianist, composer, bandleader, educator and Guggenheim Fellow, is the first recipient of the Soul Train, Lady of Soul Award for Jazz. In 2011, Geri Allen was nominated for an NAACP Award for her Timeline, Tap Quartet Project. Allen is the first woman, and youngest person to receive the Danish Jazz Par Prize. 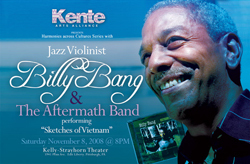 Allen has enjoyed a very successful thirty-year performing career as a NYC jazz musician. She has now returned to Pittsburgh to continue her legacy as a cutting edge pianist/composer, recording - concertizing artist. 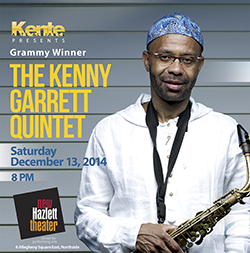 For his third Mack Avenue Records release, Pushing the World Away, alto - soprano saxophonist, composer - bandleader Kenny Garrett literally had to “push away” a steady flow of distractions to get to the inner core of the album, shifting priorities in his schedule and diving deep into the essence of the music. 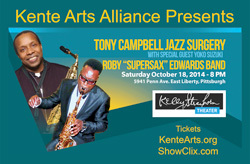 Roby Edwards was born in Pittsburgh and is part of a lineage of great Pittsburgh-born musicians. He learned his art the old fashioned way, on stage with accomplished musicians night after night since the age of 16. 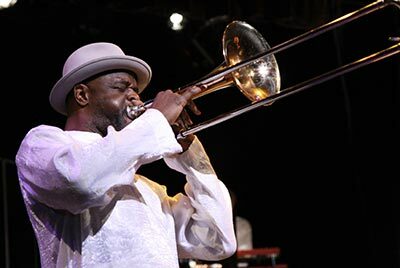 He has performed in over 12 countries as a bandleader as well as a sideman with some of the best in the business. Tony Campbell is deeply rooted in the jazz tradition in Pittsburgh. A product of the Pittsburgh Public Schools, Tony started playing music as a teenager. After attending public school, Tony studied music at the famed Berklee School of Music in Boston. But like all jazz artists, Tony got his best education playing wherever opportunities presented themselves. Whether playing on Broadway or with greats like Roy Ayers, Tony is versatile enough to play anywhere he chooses. 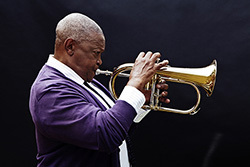 Legendary South African trumpeter Hugh Masekela is an innovator in the world music and jazz scene and continues to tour the world as a performer, composer, producer and activist. This iconic artist is best known for his Grammy-nominated hit single, Grazing in the Grass which sold over 4 million copies in 1968 and made him an international star. He later played an integral role in Paul Simon’s tour behind the classic album Graceland, which was one of the first pop records to introduce African music to a broader public. Song, music, dance and the richness of the African diaspora come together in Asase Yaa African-American Dance Theatre's ballet of Drum Love. With Drum Love, the Brooklyn-based troupe will make its Pittsburgh debut, having performed around the world including in Japan, Korea, France, Iceland, Ghana, Guinea and the Netherlands. Asase Yaa has also appeared at VH1's Hip Hop Honors, Stars of New York Dance and at the premiere of the HBO documentary film Sing Your Song, with Harry Belafonte. Asase Yaa performed Drum Love that brings together a ballet of nine dancers, seven musicians and singer/historian Mandingue Djelimuso to tell the uplifting story of a young naïve girl who finds herself in love with two handsome big-city artists. 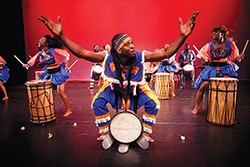 The production features colorful costumes, traditional music, including a balafon player and dance from Guinea, West Africa. Its energy and excitement will keep you on the edge of your seat. NEA Jazz Master Randy Weston is an internationally renowned pianist, composer, bandleader and cultural ambassador, whose compositions encompass the vast rhythmic heritage of Africa. Still a true innovator and visionary after six decades of active work, Randy Weston continues to inform and inspire. 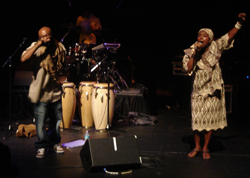 The ensemble is known for its West African presentations from Guinea, Senegal, Mali, Ghana, Ivory Coast, Nigeria, the Gambia, Liberia, Sierra Leone, and more. Formed in 1984, they have performed before world leaders, celebrities, and high-level politicians, as well as at a number of business and community events, always representing the beauty of African Culture. Considered one of the best African Dance and Drum troupes in the United States, their 35 member ensemble will present an electrifying performance of amazing stilt walkers, dancers, drummers, and ground masquerades, culminating in a stunning acrobatic performance. Kente Arts Alliance, supported by The Heinz Endowments, BNY Mellon, HighMark Blue Cross Blue Shield, and The Pittsburgh Foundation: Advancing Black Arts in Pittsburgh Fund presented the second installment of the Jazz ROYalty Series - September 22, 2012 at the New Hazelett Theater. This year, Haynes will celebrate his 87th birthday and is a fireball of energy. He is a flamboyant dresser who is known, as much for is sartorial splendor as he is for his musicianship. 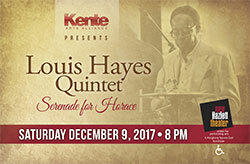 Haynes is a jazz legend of unsurpassed accomplishments and for the last 60 years or more continues to wow audiences wherever he performs. According to a recent article in Jazz Times (November, 2011), "Haynes is, without question, the most influential living drummer in jazz". Guitarist Pat Metheny and one of Haynes many enthusiastic collaborators writes, "I don't really think it is an exaggeration to call Roy the father of modern drumming" (Jazz Times, November, 2011). In spite of his age and longevity in the music business, Haynes' work is always fresh. Critics often say his music is as fresh today as it was 50 years ago when he played with Charlie Parker. But most astonishing about Haynes is that his playing and energy defies his age. 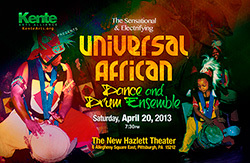 Kente Arts Alliance, supported by The Heinz Endowments, and BNY Mellon presented the first installment of the Jazz ROYalty Series - April 28, 2012 at the New Hazelett Theater. 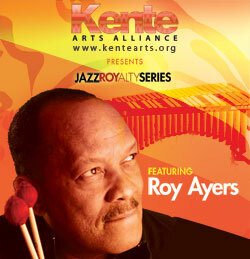 Vibraphonist-Vocalist Roy Ayers is among the best-know, most-loved and respected Jazz-R&B artists on the music scene today. Now in his fourth decade in the music business, Ayers, know as the Godfather of Neo-soul, continues to bridge the gap between generations of music lovers. In the '60s he was an award winning jazz vibraphonist, and transformed into a popular R&B band leader in the '70s and '80s. Today, the dynamic music man is an iconic figure still in great demand and whose music has been sampled by music industry heavyweights, including Mary J. Blige, Erykah Badu, 50 Cent, A Tribe Called Quest, Tupac, and Ice Cube. Many of Ayers' songs including: Everybody Loves the Sunshine, Searchin, Running Away have been frequently sampled and remixed by DJ's worldwide. 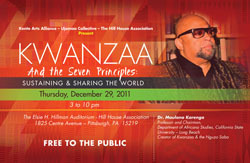 Kente Arts Alliance, Ujanaa Collective, The Hill House Association presented - Free to the Public - KWANZAA and the Seven Principles Sustaining & Sharing the World at the Elsie H. Hillman Auditorium, Hill House Association on Center Avenu. Dr. Maulana Karenga, Professor and Chairman, Department of Africana Studies, California State University - Long Beach, Creator of Kwanzaa & the Nguzo Saba was the featured speaker. Roger Humphries and the RH Factor provided musical inspiration. 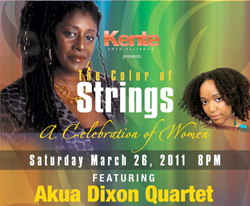 Akua Dixon is an accomplished cellist, composer, conductor and vocalist who honed her skills performing with jazz legends. Her various ensembles have supplied string sections for such jazz greats as Rahsaan Roland Kirk, Duke Ellington, Lionel Hampton, Jimmy Heath, Betty Carter, Ray Charles and Pharaoh Saunders. Some critics refer to her ensemble as "jazz's leading string quartet". 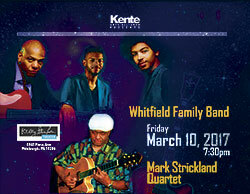 Her quartet's repertoire features original works and arrangements of jazz classics, receiving four stars in Downbeat. Her new CD is entitled "AFRIKA! AFRIKA! ", and was released on Savant Records. Critics say the group "swings madly". Her vocal work has won her international acclaim, recording with Archie Shepp's Attica Blues Big Band, "Live at the Palais de Glace" and Steve Turre's Sextet with Strings album, "Right There." Pharoah Sanders brought his distinctive tenor saxophone sound to Pittsburgh for the first time in 28 years along with William Henderson on Piano. This concert also featured two of Pittsburgh's own jazz master's Roger Humphries, Dwayne Dolphin as part of this phenomenal quartet. As well as special guest performance that included George C. Jones on congas. 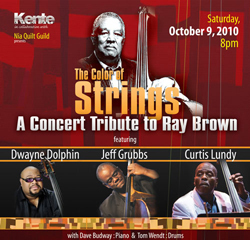 This concert featured three bass players: Dwayne Dolphin, Jeff Grubbs and Curtis Lundy as well as Dave Budway on Piano and Tom Wendt on drums. Singer Sandy Dowe also performed for this tribute. In keeping with the theme of the event, The Color of Strings, a presentation of beautiful quilts by the Gee's Bend Quilt Collective of Boykin, Alabama were displayed throughout the concert hall and lobby. One of the surest tests of a jazz singer is her acceptance by skilled players. Rubin has won that acceptance. Jazz musicians are impressed by Rubin's way around a song and her innate ability to swing. In this special Women's History Month concert, Rubin paid tribute to the great ladies of song. 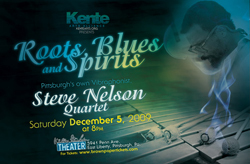 Since the 1970's, Pittsburgh's Steve Nelson has made his way through the ranks, playing high profile gigs with artists as diverse as Grant Green, Jackie McLean, Dave Holland, and David "Fathead" Newman. Nelson will serve as leader in this Pittsburgh engagement, assembling a quartet of both young and seasoned artists. 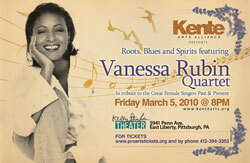 Kente Arts Alliance is always pleased when it presents artists whose roots begin in Pittsburgh. Nelson was reared in East Liberty before leaving Pittsburgh to make his way through the jazz world. He has gone full circle as he returns to the Kelly-Strayhorn Theater which is only a mile from where he grew up. The violin is hardly the first instrument that comes to mind when you think about jazz, but that's never daunted Billy Bang, one of the instrument's most adventurous exponents. While attending a Massachusetts prep school under full scholarship, he met and began playing with fellow-student, folk-singer Arlo Guthrie. Drafted into the army following graduation, Bang was sent to Vietnam, an experience that profoundly affected his life, often quite painfully. Returning home and radicalized, Billy became active in the anti-war movement, and by the late '60s had returned to music. Vietnam: The Aftermath (released in October 2001) evokes and confronts the memories of his Vietnam experiences and showcases the fine compositional skills that have always marked his own recordings. The experience proved to be emotionally cathartic as well as a boon to his career, as it led to rave reviews the world over, awards from recording societies, and invitations to perform the resulting work. The concert kicked off the 2008 season’s cross-cultural themed programming entitled: Creating Harmony across Cultures. This first installment helped to build a bridge across the generational divide, pairing legendary cultural icons with some of today’s hottest spoken word artists, all of whom are playing an important role in addressing the current political and social climate. For that reason, this concert has been aptly named “Generations of Agitation”. The Last Poets is a veteran group of poets and musicians who arose from the late 1960s African American civil rights movement's Black Nationalist thread. The Last Poets have been cited as one of the earliest influences on what would become hip-hop. The year 2008 marked the 40th anniversary of the formation of the group. Critic Jason Ankeny writes, "With their politically charged raps, taut rhythms, and dedication to raising African-American consciousness, the Last Poets almost single-handedly laid the groundwork for the emergence of hip-hop." Chen Lo, a Pittsburgh-born and raised spoken word artist, now living in Brooklyn opened for the The Last Poets. As one of today’s young aspiring artists, he has always stood to use his individual gifts, skills and talents to enhance the well-being of his community. Yah Lioness, one of Pittsburgh’s most prolific female spoken word artists served as MC. DJ Nate Da Phat Barber provided the music. One of the world’s preeminent jazz innovators, trombonist and sea shellist Steve Turre has consistently won both the Reader’s and Critics Polls in Jazz Times, Downbeat, and Jazziz for Best Trombone and for Best Miscellaneous Instrumentalist (sea shells). In addition to performing as a member of the Saturday Night Live Band since 1984, Turre leads several different ensembles. Steve Turre continually evolves as a musician and arranger. He has a strong command of all musical genres and when it comes to his distinct brand of jazz, he always keeps one foot in the past and one in the future. In his Pittsburgh appearance, he paid tribute to Roy Eldridge (1911 – 1989) aka “Little Jazz”. Eldridge was born and raised in Pittsburgh, and is considered one of the greatest trumpet players in jazz history. His range and rhythmic skill made him perhaps the finest trumpeter of the swing era of the 1930’s. His sophisticated use of harmony resulted in him sometimes being seen as the link between Louis Armstrong-era swing music and Dizzy Gillespie-era bebop. On February 23, 2008, the City of Pittsburgh and the State of Pennsylvania paid tribute to one of their favorite sons, drummer Roger Humphries. 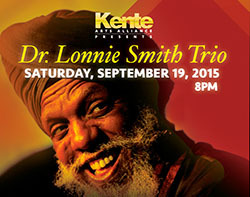 The events culminated in a tribute concert presented by the Kente Arts Alliance. Roger Humphries was a child prodigy, playing with professional musicians as early as age 4 ½. Roger’s first major road job came in August 1962 when he joined fellow Pittsburgher Stanley Turrentine and Shirley Scott at the Hurricane in the Hill District of Pittsburgh. Music critics rate Roger as one of the most exciting percussionists in the business. In 1964, Roger went to New York to join the Horace Silver Quintet. For more than fifty years, Silver has written some of the most enduring tunes in jazz while performing them in a distinctively personal style. Silver helped create the rhythmically forceful branch of jazz known as "hard bop". He based much of his own writing on blues and gospel---the latter is particularly prominent on one of his biggest tunes, "The Preacher." While with Silver, Roger Humphries provided the rhythm for many of Silver’s jazz classics including the famous jazz hit, “Song for my Father”. 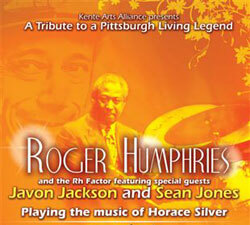 The February 23rd concert paid homage to this period in Roger Humphries enduring and illustrious career. 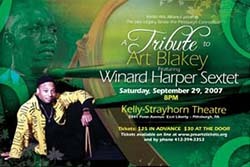 Winard Harper will paid tribute to drummer and band leader Art Blakey. Blakey (1919 - 1990) also known as Abdullah Ibn Buhaina, was one of the inventors of the modern, bebop style of drumming and is undoubtedly one of the most influential jazz musicians ever. Harper, who was influenced in part by Blakey, reveres his predecessor while remaining innovative in his own right. He has become one of the most celebrated drummers in jazz and known for his virtuosity on the drum set as well as the balafon, the West African equivalent of the marimba. “In the jazz idiom, very few master musicians have held the title of leader while pounding out the heartbeat of any great band behind the drum set since legends Art Blakey and Max Roach. Winard Harper, however, has proven since the late ‘80s to be one of the true great bandleaders who sits behind a drum kit while pushing his ensemble to explore international sounds ranging from African to Caribbean to Afro-Cuban, all wrapped around the core of Hard Bop jazz”. Kirikou and the Sorceress (French: Kirikou et la sorcière) is a 1998 Franco-Belgian traditional animation feature film loosely based on a West African folk tale and written and directed by Michel Ocelot, in which a newborn boy saves his village by ridding them of the evil witch Karaba. It was so successful that a sequel, Kirikou et les bêtes sauvages (Kirikou et les bêtes sauvages) followed in 2005 and in 2007 it was adapted into a musical theatre stage production, Kirikou et Karaba. The Kirikou films are characterized by their flat, two-dimensional, look, as opposed to current trends in three-dimensional computer animation. The lush African colours and patterns were inspired by the works of the "naïve" French painter "Le Douanier" Henri Rousseau. Ocelot's latest feature film Azur et Asmar explores the world of North African and Islamic folklore, architecture, art and calligraphy. Through her highly acclaimed Mary Lou Williams Collective, Ms. Allen assembled a fine group of musicians to interpret the work of Pittsburgh native Mary Lou Williams (1910-1981). In fact, Allen played the role of Mary Lou Williams in Robert Altman’s celebrated film Kansas City. 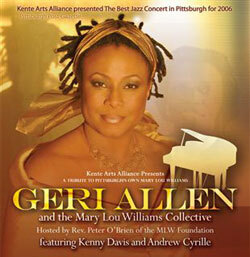 During this special Pittsburgh engagement of her world-wide 2007 tour, Ms. Allen paid homage to the legendary pianist and composer through her interpretative work Zodiac Suite: Revisited. She also performed selections from her highly acclaimed new CD “Timeless Portraits and Dreams”. 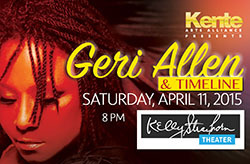 Geri Allen is a celebrated award-winning pianist/composer who performs for enthusiastic audiences worldwide. Ms. Allen is the recipient of numerous honors and awards and is presently an Associate Professor of Jazz and Contemporary Improvisation at the University of Michigan. She earned her Master’s degree in Ethnomusicology at the University of Pittsburgh, where she studied under Nathan Davis. This concert focused on the enduring body of work left by the legendary alto saxophonist Cannonball Adderley and his brother Nat Adderley (trumpet). Cannonball recorded more than 60 albums as a feature artist and collaborated as a sideman on at least 60 more. Louis Hayes was the drummer for Cannonball during six years of his amazing, if abbreviated career. For the last twenty-plus years, Hayes has led or co-led some of the most uncompromisingly swinging groups in all of jazz. Each unit has displayed tight-knit harmonic cohesion and hard-driving consistency as part of its signature. In the Cannonball Legacy Band, Hayes has assembled some of today’s finest musicians, each of them a star in his own right and in demand as leaders and collaborators.